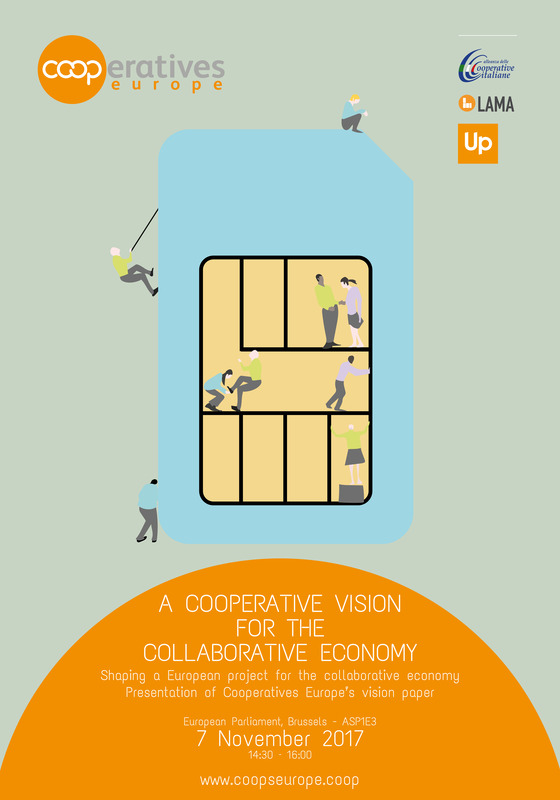 On November 7th, Cooperatives Europe, together with MEP Nicola Danti, the European Parliament Rapporteur on the collaborative economy, hosted an event titled “A cooperative vision for the collaborative economy” at the European Parliament. The collaborative economy, empowered by peer-to-peer exchanges and digital technologies, presents a new opportunity for cooperatives to innovate the practice by shaping an inclusive, community-led and people-centred approach, while tackling the threats and negative effects. Gathering at the European Parliament, the Members of the European Parliament, representatives of the European Commission, academics, European cooperative representatives as well as entrepreneurs held a discussion regarding the strategic future direction of the collaborative economy as well as the possibilities it presents to cooperatives. Support was expressed for a more cooperative collaborative economy to bridge the gap between social and economic innovation, with cooperative examples, like Ridygo, Up Group, SMart and Camelot, showcased. Though the EU policy-makers confirmed the interest of seeing the emergence of a cooperative-based collaborative economy, certain challenges still remain. As MEP Nicola Danti pointed out, EU regulation on collaborative economy is needed to fight current fragmentation of the EU Single Market. Moreover, the regulations and financing mechanisms are poorly adapted to the specific needs of cooperatives, favouring capitalist-based enterprises. Cooperatives Europe thanks all participants for the fruitful discussions and promising dialogue for advancing the interests of European cooperatives and their benefits for an inclusive and democratic collaborative economy in Europe, and a strong European Single Market. Read the full vision paper here.